Austrian LSR dosing systems provider Elmet will have a new Top5000P multi-component dosing system at its stand. Elsewhere, Engel will produce a pressure reservoir diaphragm on a tiebar-less Victory multi-component machine. After injection of the core and frame of glass fibre-reinforced PBT, a robot transfers it to Elmet’s LSR tools with needle valve. 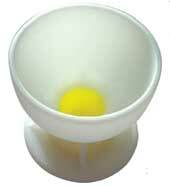 Momentive will produce a two-colour egg cup, with only one dosing system, on Arburg’s one-component machine. At Boy, Elmet will demonstrate a 128-cavity LSR tool where each cavity is injected by a cold runner nozzle, creating no scrap.